Check out hotfix 1.30c, we believe the issue is solved there. Thank`s for the info, I'll try it out and provide feedback. I tried out the two A321 models, no more boxes here. Also the buttons look all good. Out of curiosity, can you tell why not all users get this modelling error? It is a build in random bug generator: some get it, others don't. Keeps support on their toes. If we ever figure out why FS does certain things we will feel strong enough for the ultimate challenge, understanding females. I believe however it has to do with the moon phases in combination with the current stock market price of oil. I am still experiencing this problem with 1.31, anyone else? Not to necromance the thread, but I just noticed this for the first time today - no idea why I hadn't in the past. Running 1.31. It persists after a reinstall as well. 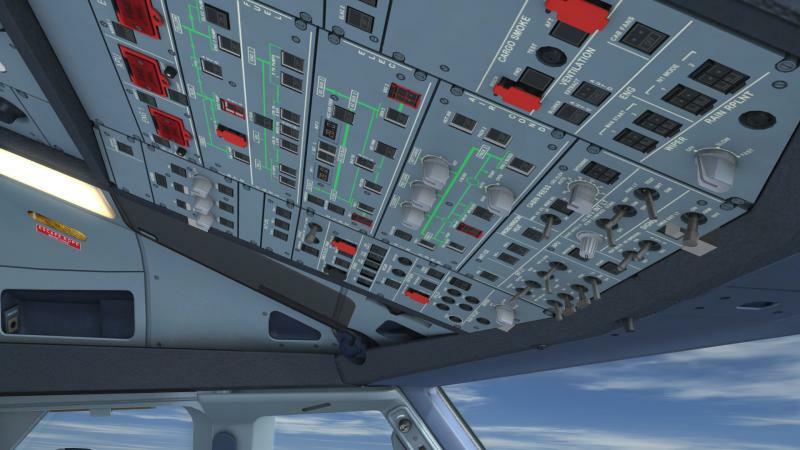 No sign of it on the A318, A319 or A320 models. Pictured is the IAE version. Note the ADIRS status lights look masked out. 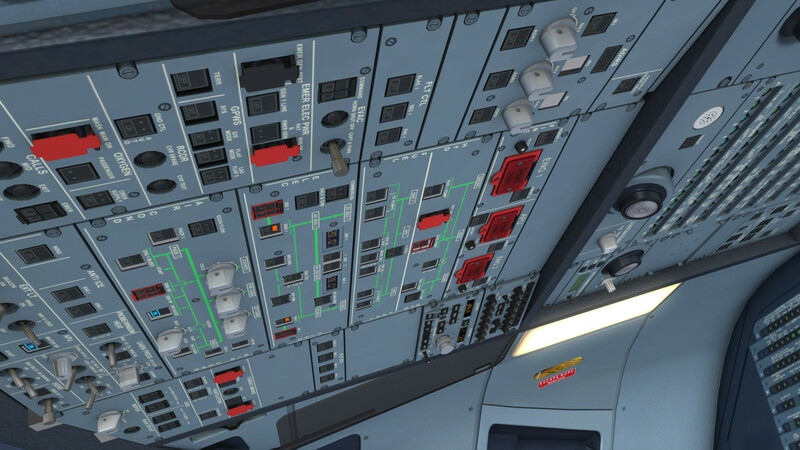 The CFM version also has this problem, albeit slightly different: in that case the ADIRS buttons aren't masked but the RCDR panel CVR Test button is, and it's visible as a gray ring around many of the same buttons in the central panels.